The Home Secretary has admitted there could be as many as one million illegal migrants in the UK, but doesn’t know for sure either way. Critics say the admission from Amber Rudd, who is responsible for immigration and the UK’s borders, shows the government is not in control of immigration and is more concerned with forcing people to pay their TV licences than deportations. 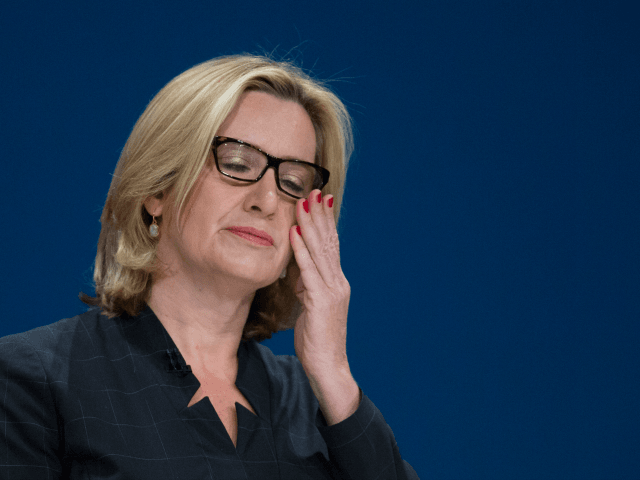 Ms. Rudd was being questioned by David Wood, a former Director General of Immigration Enforcement, who claimed there are “probably over a million foreigners here illegally” and “no one could ever remove them really”. Mr. Chope reentered the exchange, describing the Tory target of removing 35,000 people from Britain as a “drop in the ocean”. The government has kept its estimates of illegal immigrant numbers secret since 2005, but in a paper for Civitas published in June, Mr. Wood revealed the department estimates that, annually, up to 250,000 foreign nationals who are supposed to return to their home countries fail to do so. In addition to visa overstayers – a category which includes students and others – the figure includes bogus asylum seekers, of which there were around 26,000 last year, and migrants who break into Britain riding in the back of trucks. In April, Breitbart London reported that deportations of failed asylum seekers had hit a record low.